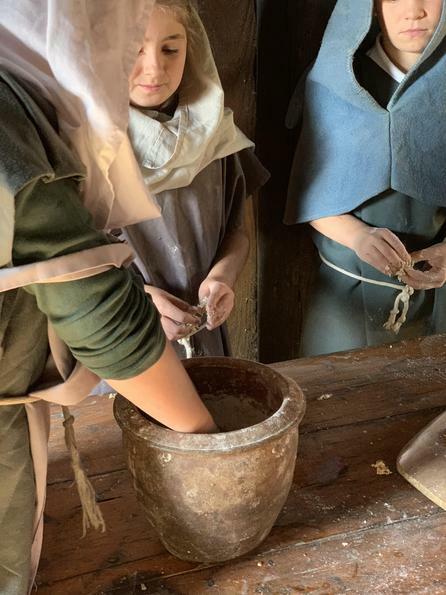 The children then carved their Anglo-Daxon names into clay and created a ruin using the alphabet. 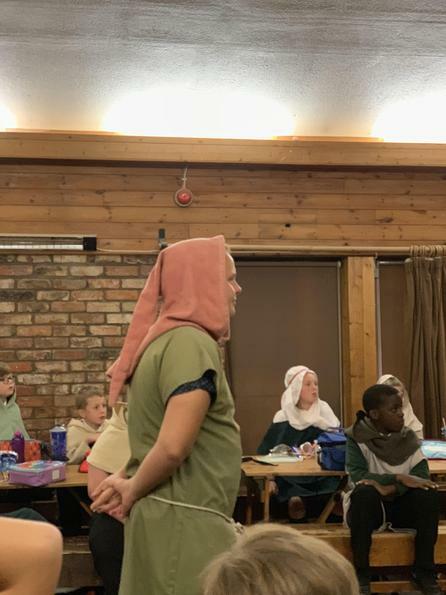 The children also drew a picture of what they would have looked like as an Anglo-Saxon. 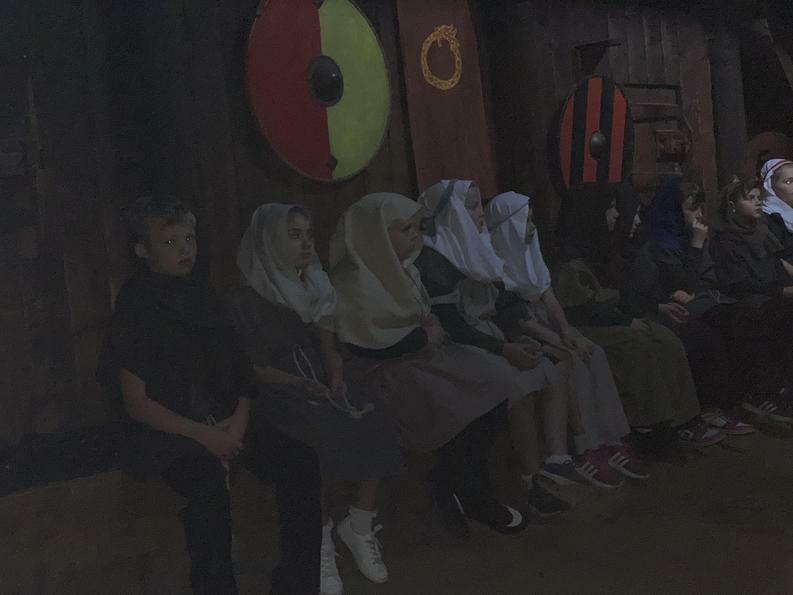 Afterwards, we researched a bit more about who the Anglo Saxons actually were. 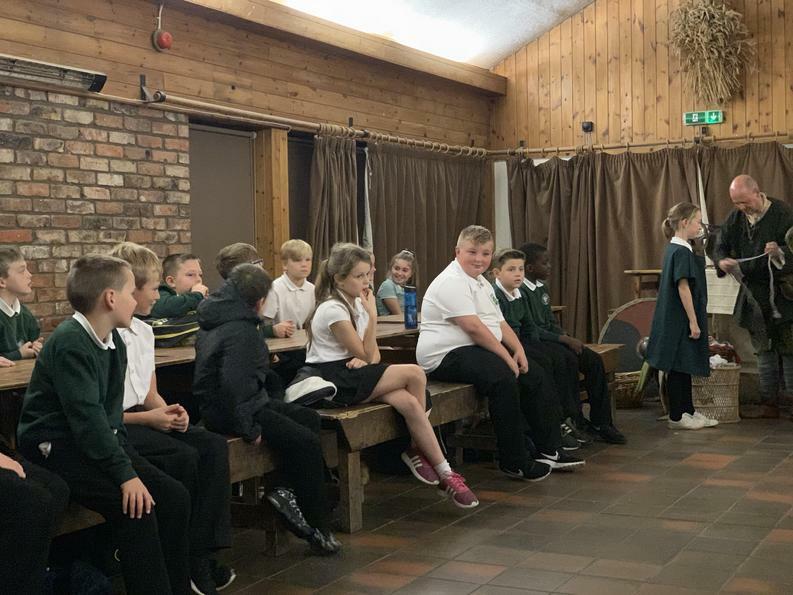 We did a Burn2learn, where we moved around to music and had to match sets of questions and answered when the music stopped. 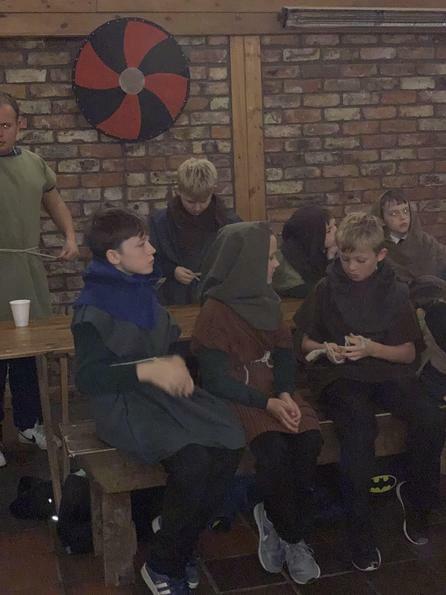 We also looked at some Anglo Saxon games which were popular amongst children. 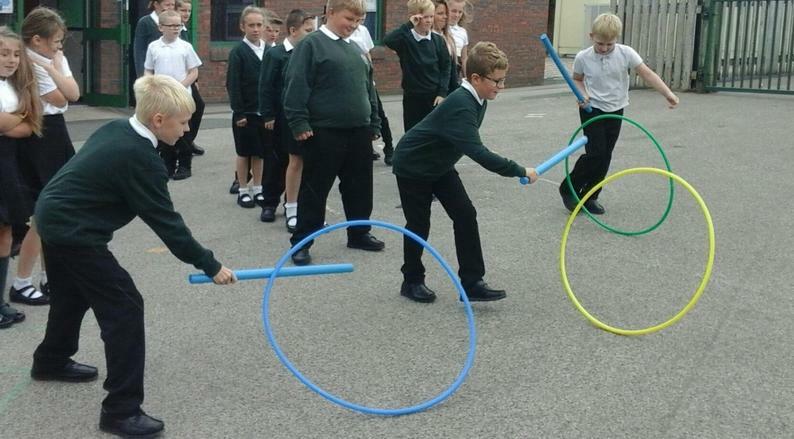 Our favourite game was the ‘Hoop and Stick,’ where you had to move your hoop by constantly knocking it with a stick. 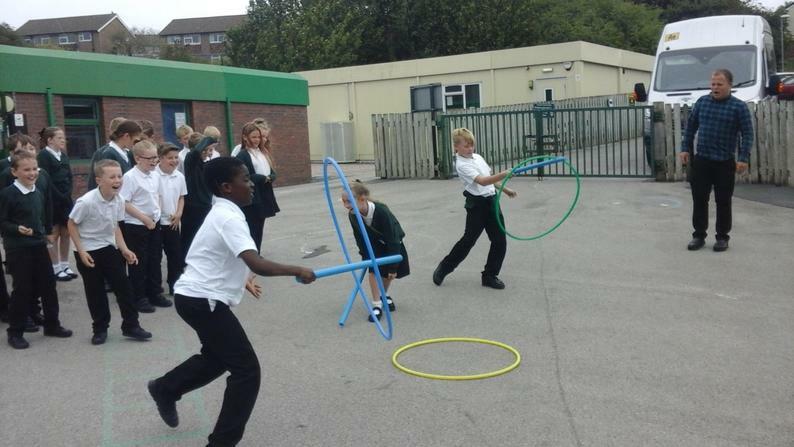 The game got very competitive! 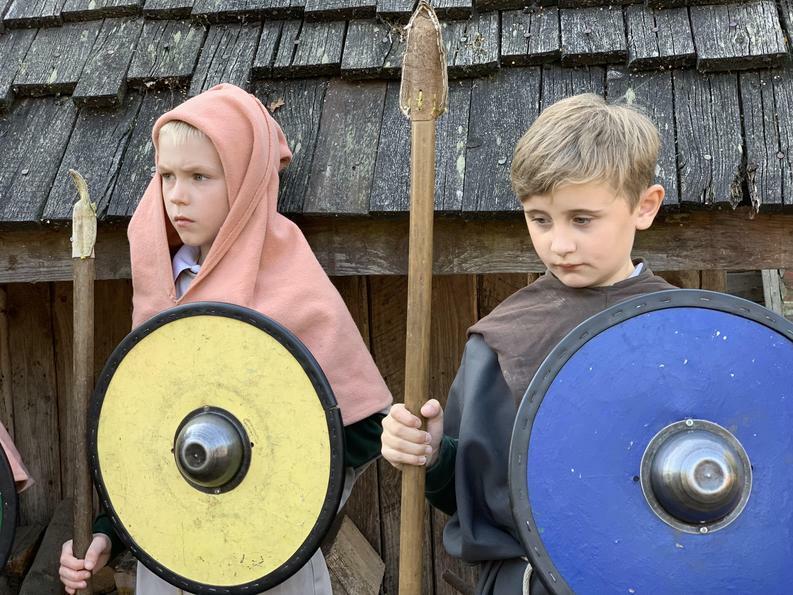 Some examples of other toys Anglo-Saxon children had to play with. 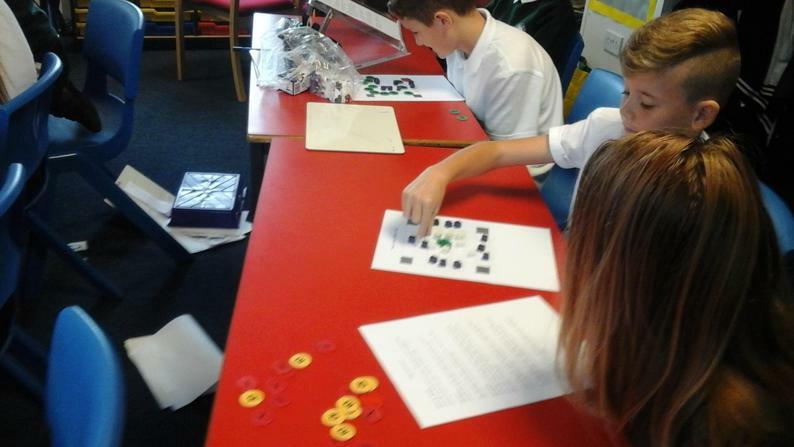 Another Anglo Saxon game is a board game called Taefl. 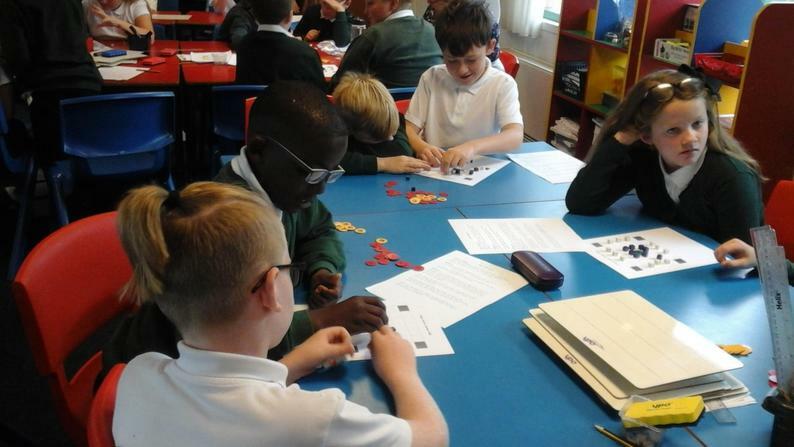 The children researched how to play this and had a go at exploring the game in pairs. 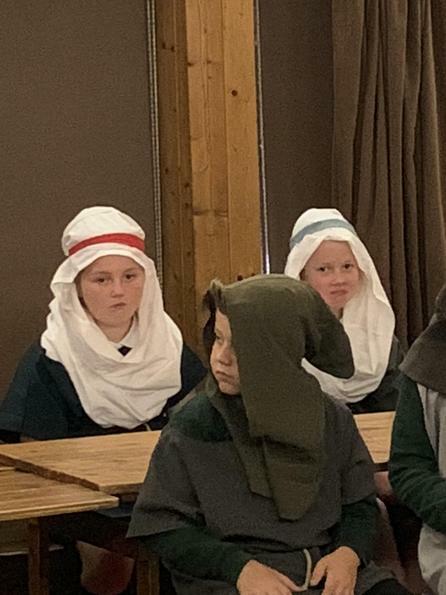 We looked at a map of Great Britain to see where the Anglo-Saxons invaded. 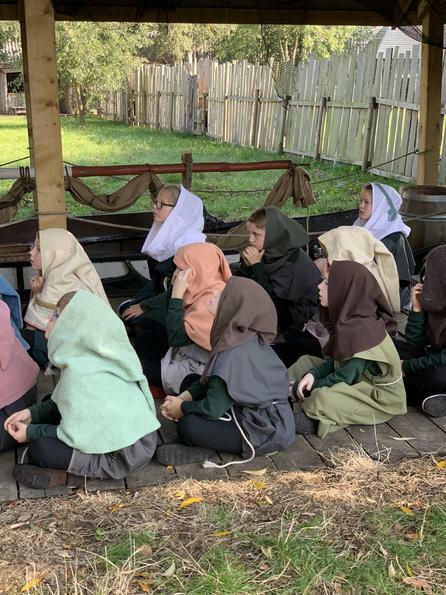 We discussed why they invaded Britain and found that their homes were flooded and they cane to help the Scots in the hope they could get some new land for themselves. 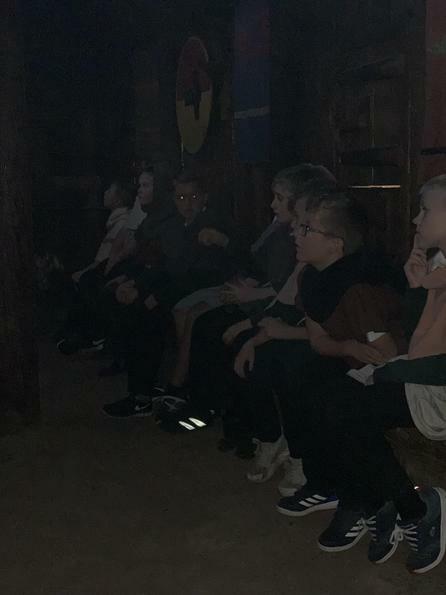 The children then looked at a picture of an Anglo-Saxon ship at see and thought of their own relative clauses to describe the scene. 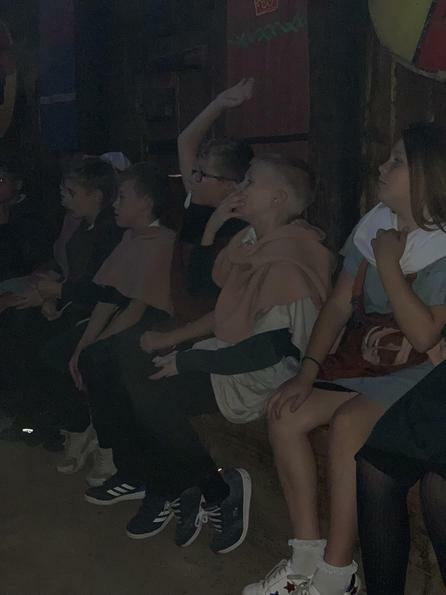 The class then imagined they were stood on the shore of Britain looking out to see an Anglo-Saxon ship approaching in the distance. 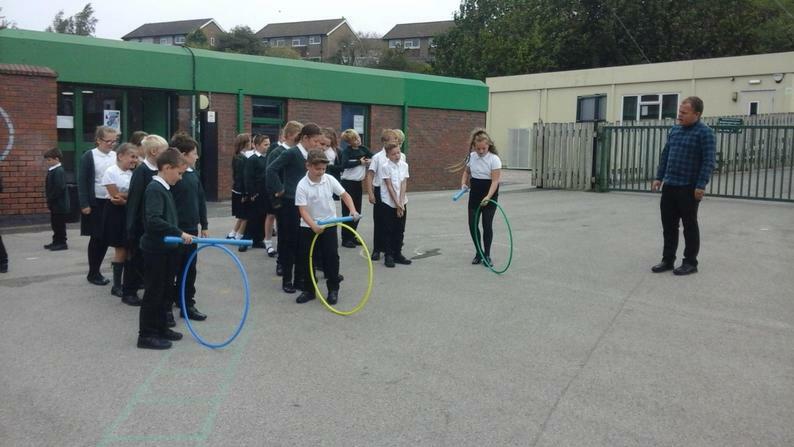 They used their knowledge of relative clauses to write a setting description with relative clauses throughout. 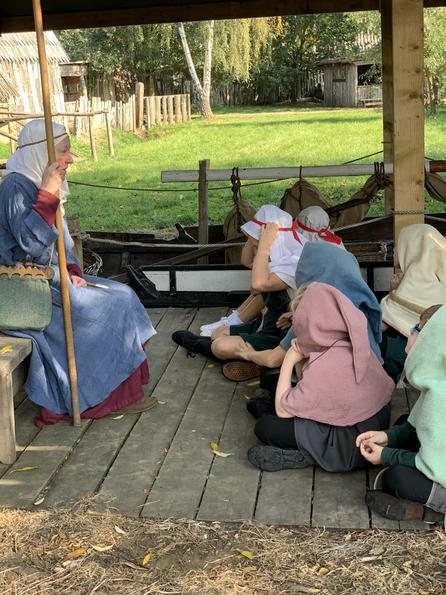 The class wrote their own diary as if they were on an Anglo-Saxon ship heading for Britain. 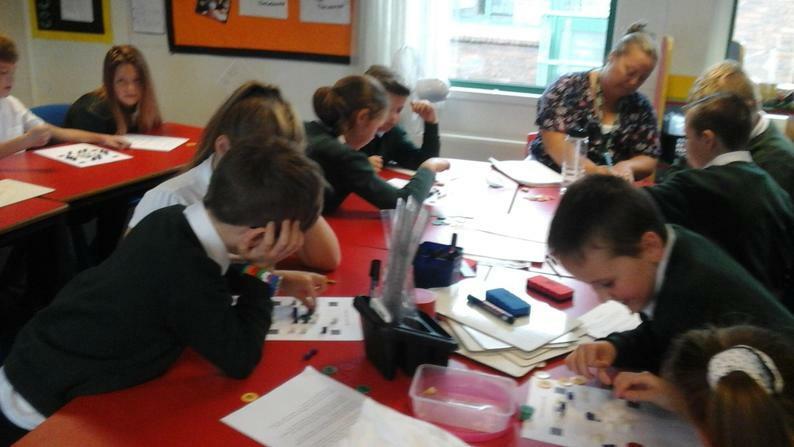 They had to use fronted adverbials throughout to make their diary sound more exciting and dramatic. 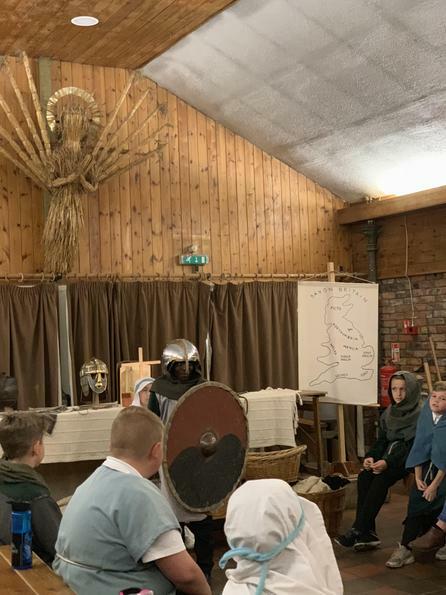 Inbetween our adventure and maths no problem lessons we have packed in different pieces of art work including: drawings of Anglo-Saxon houses and shields. 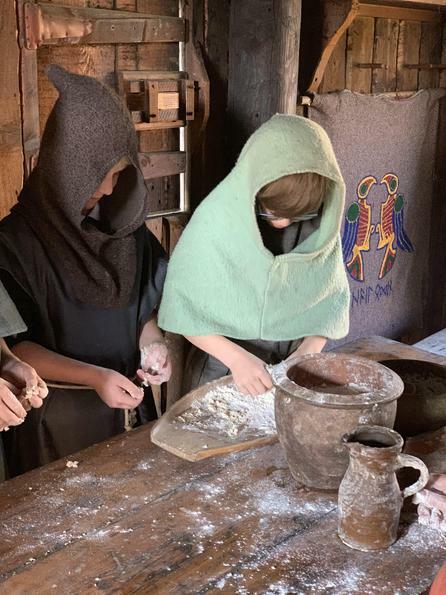 We have also created our own menus for an Anglo-Saxon menu and the children have created some fantastic pieces of art for their homework. 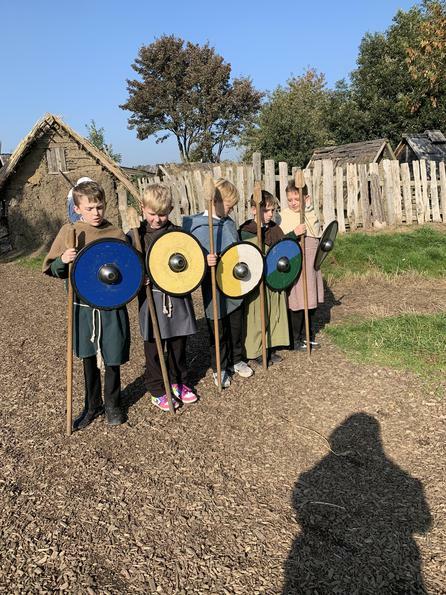 We looked at another set of invaders the Vikings. 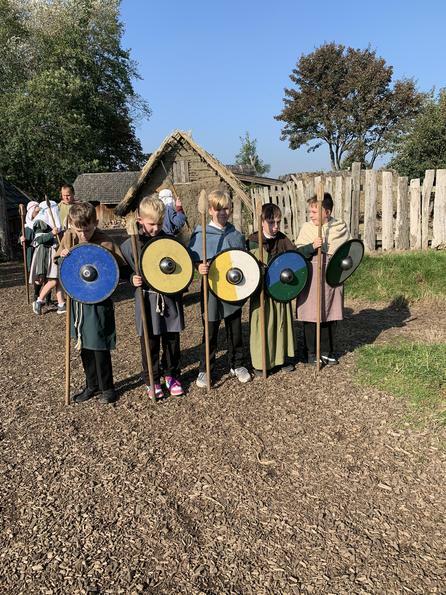 We looked at how they attacked in their longships at Lindisfarne. 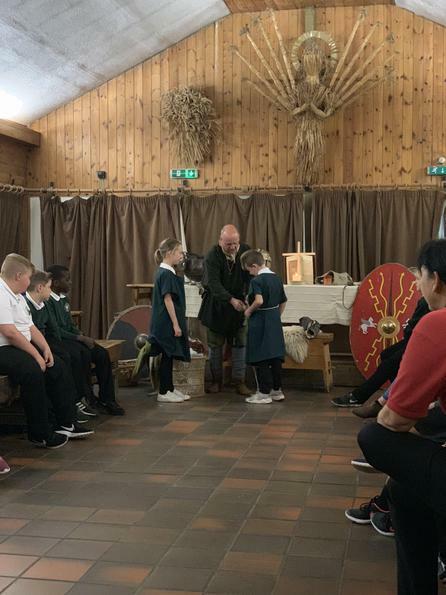 The children made leaflets full of information and pictures all about the Viking’s. 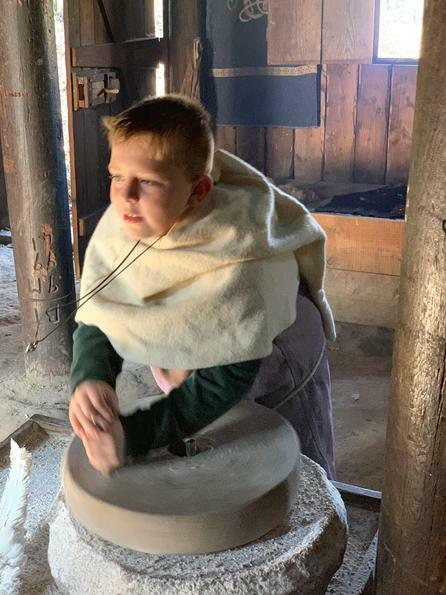 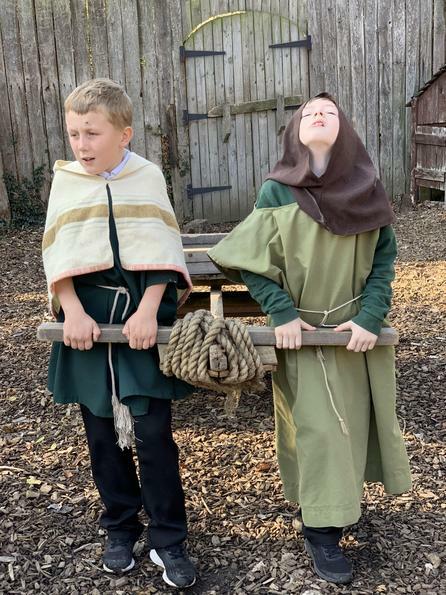 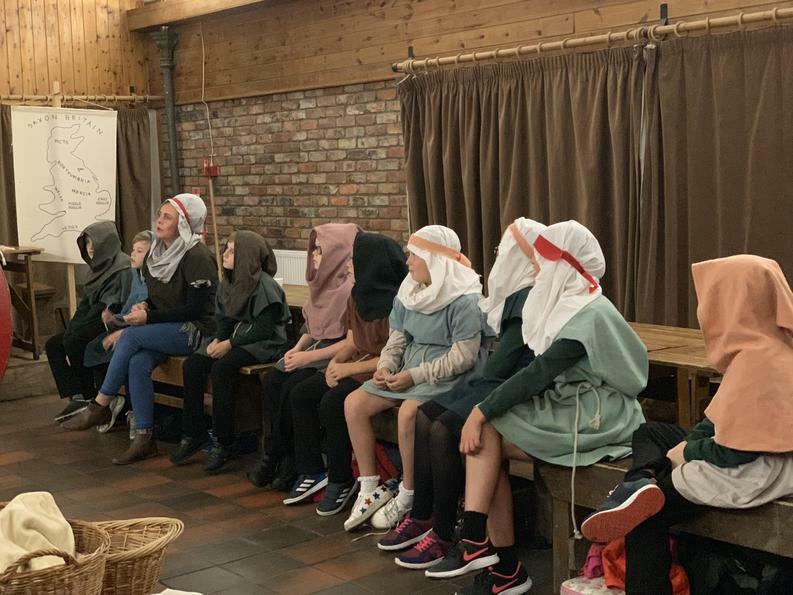 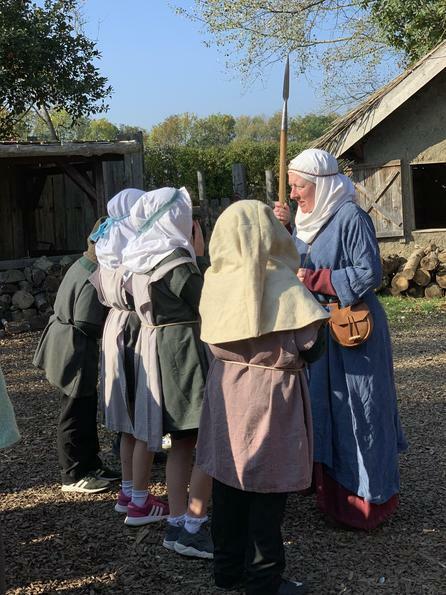 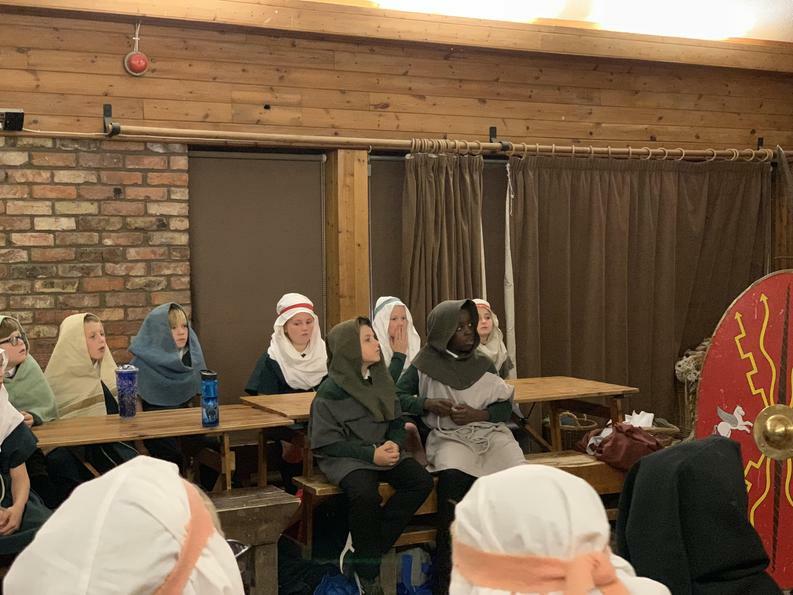 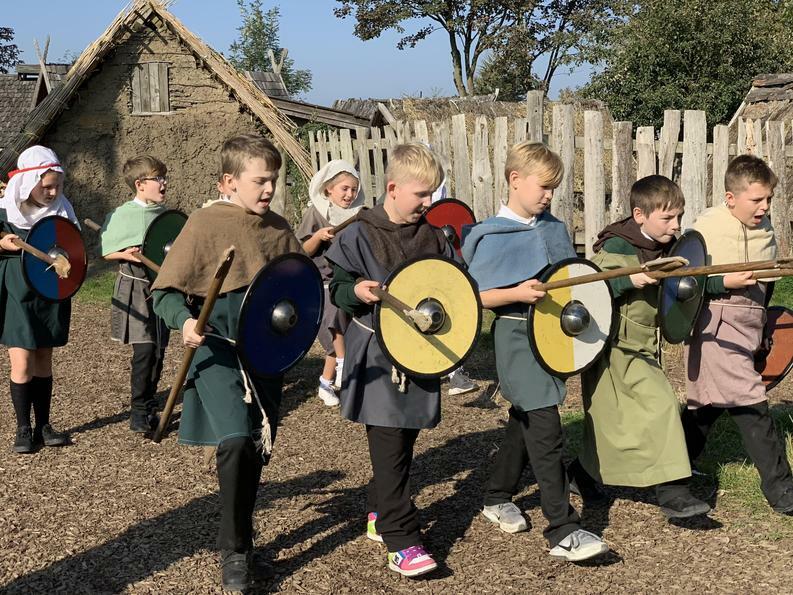 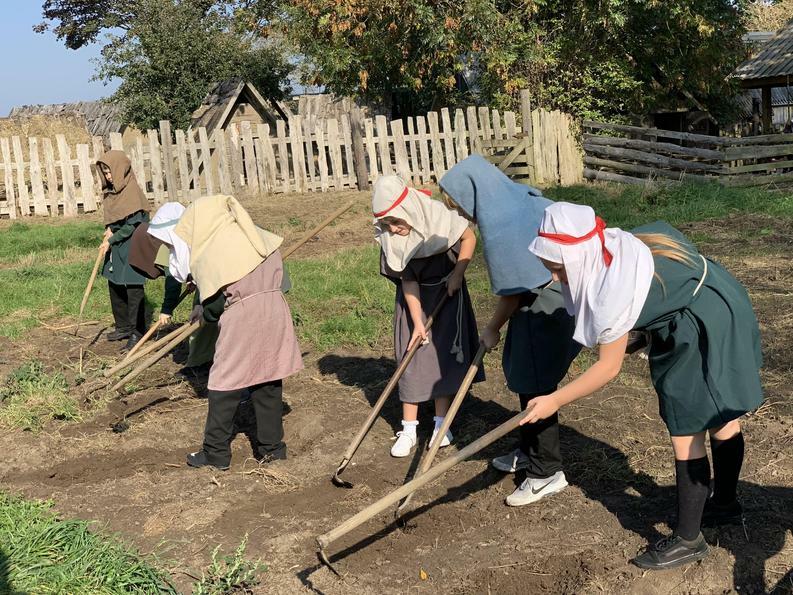 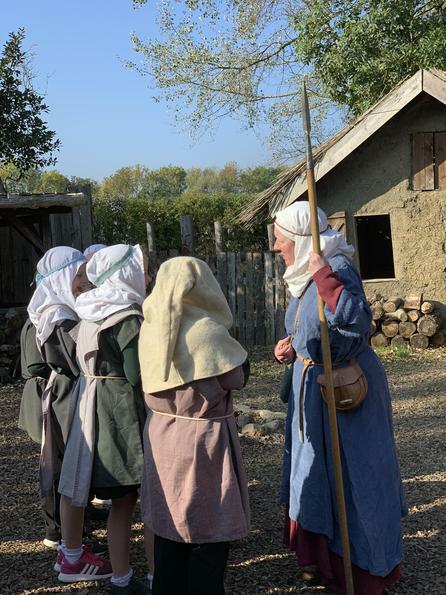 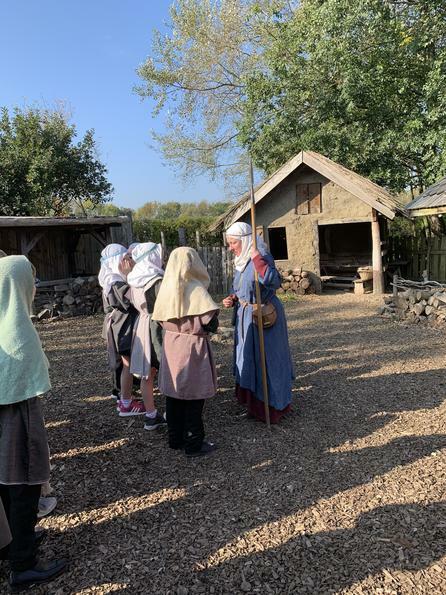 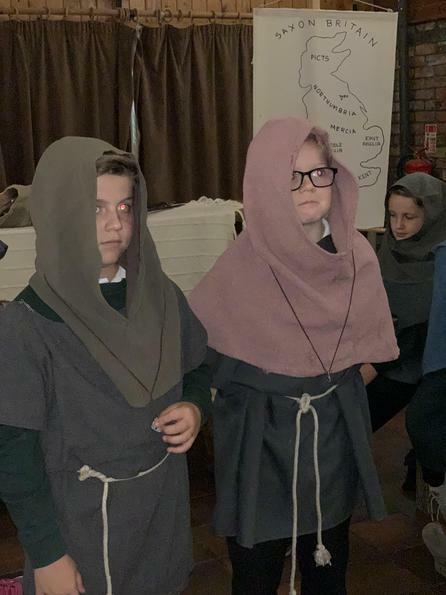 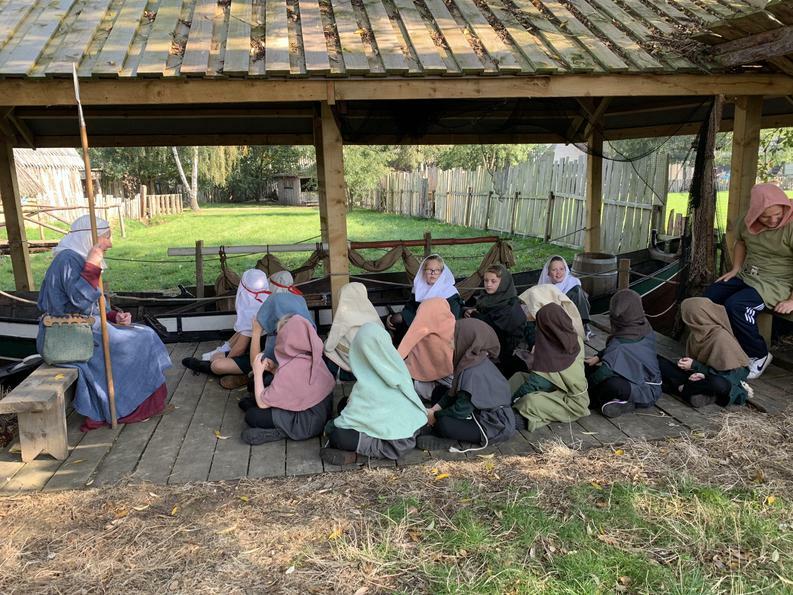 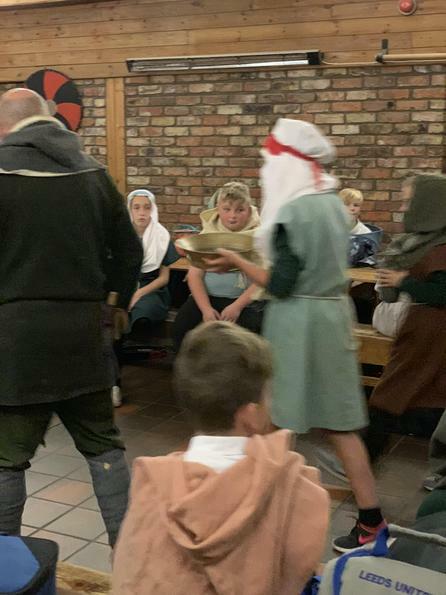 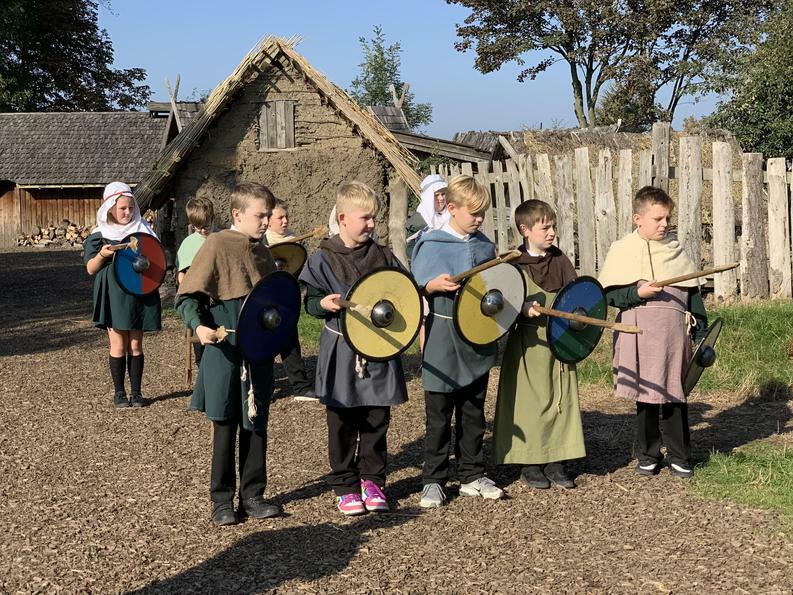 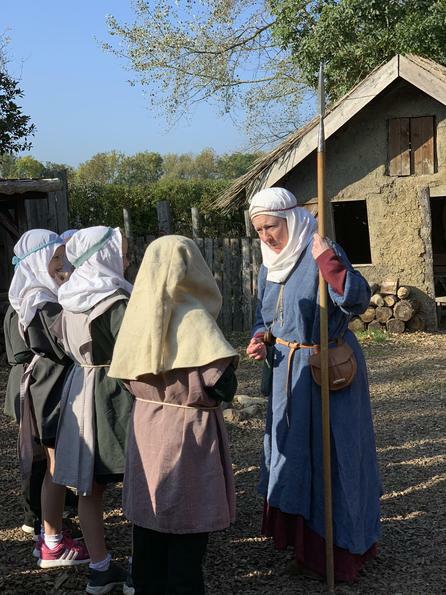 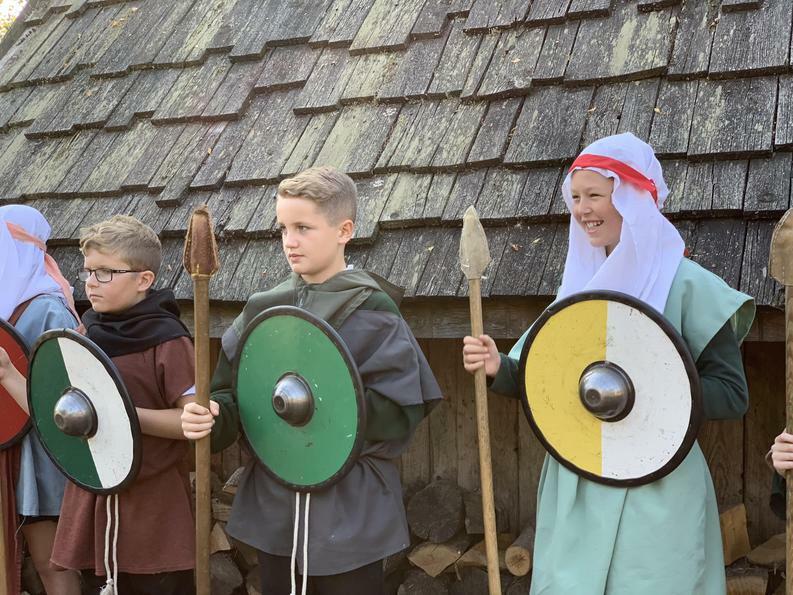 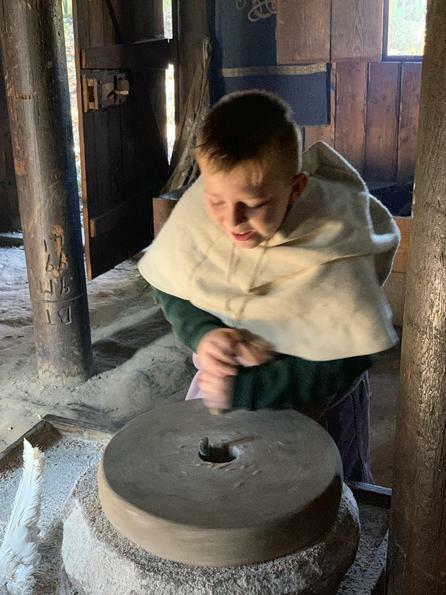 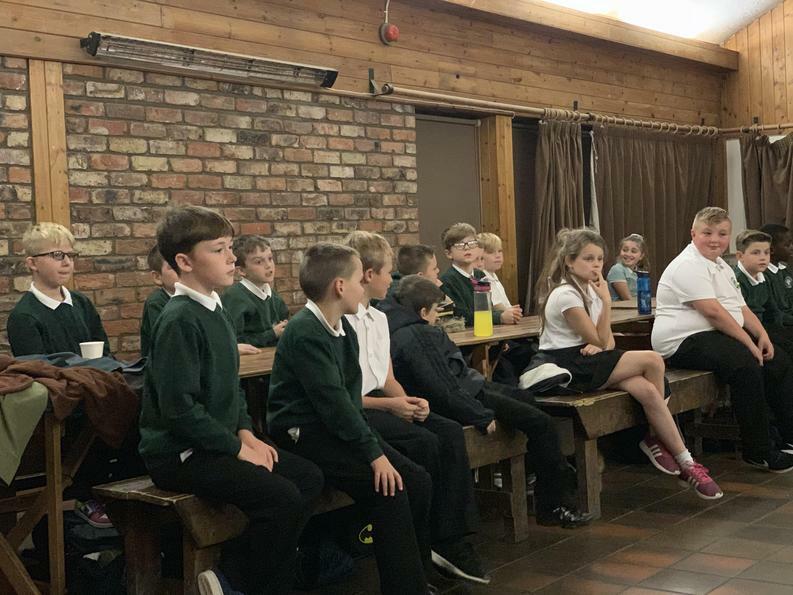 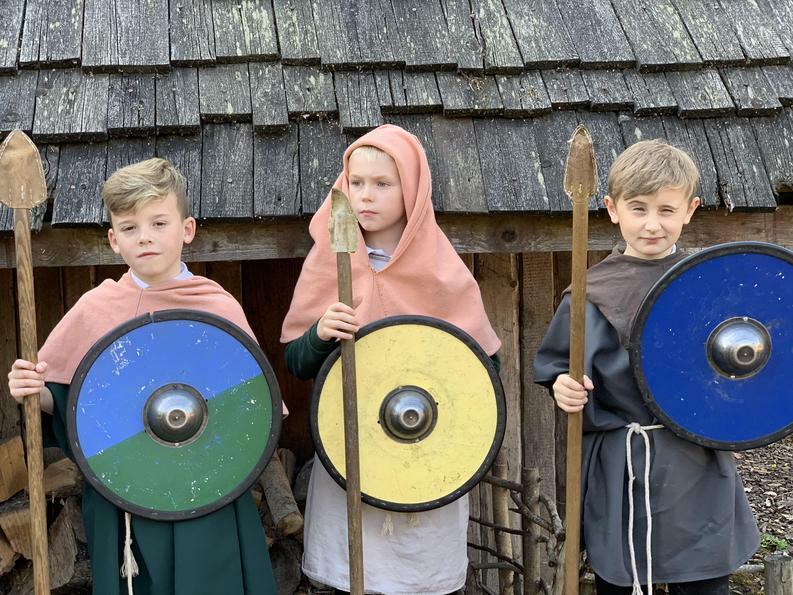 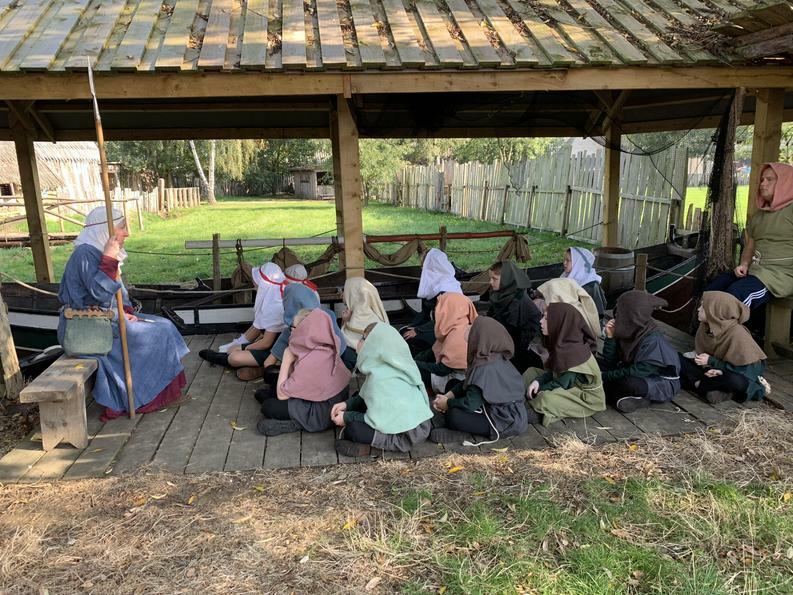 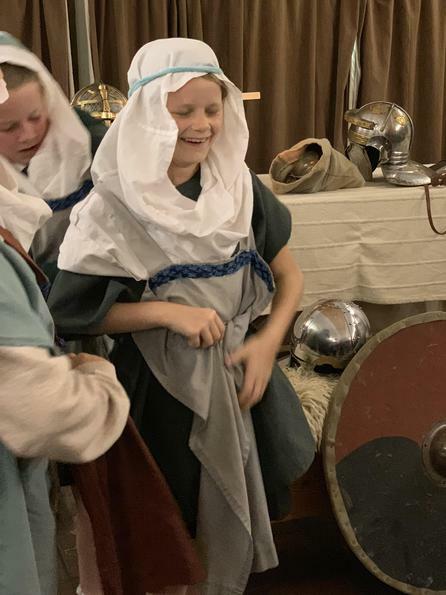 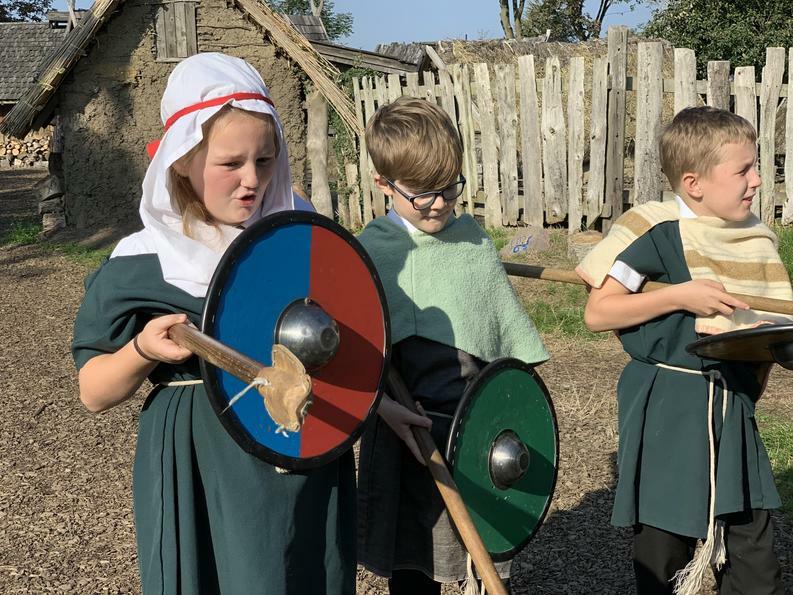 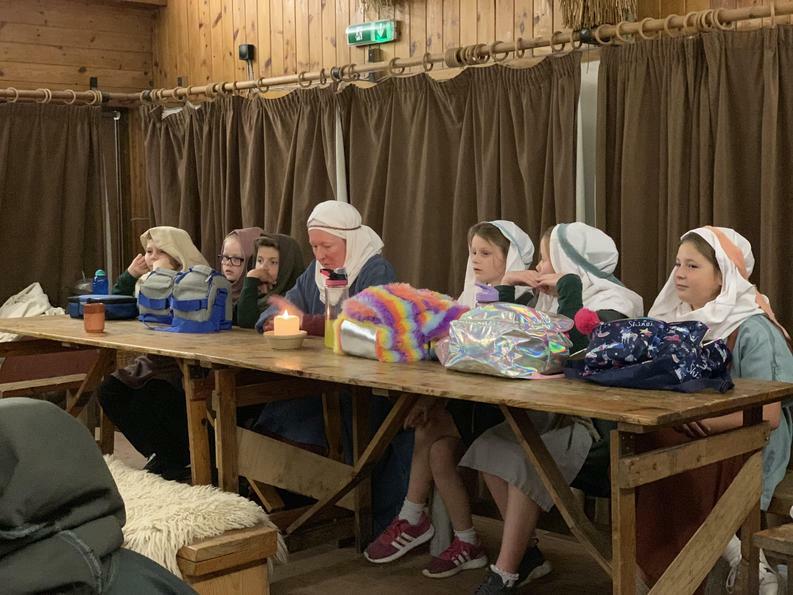 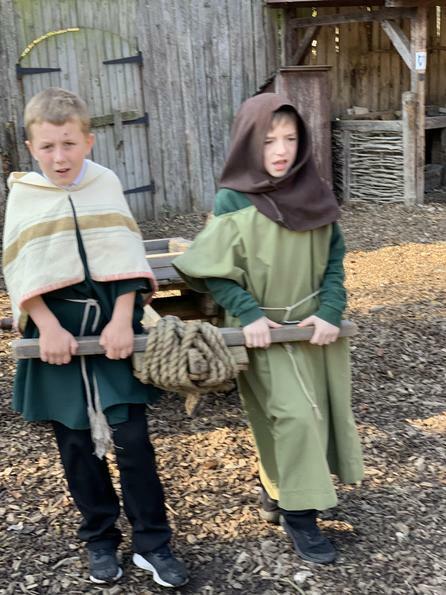 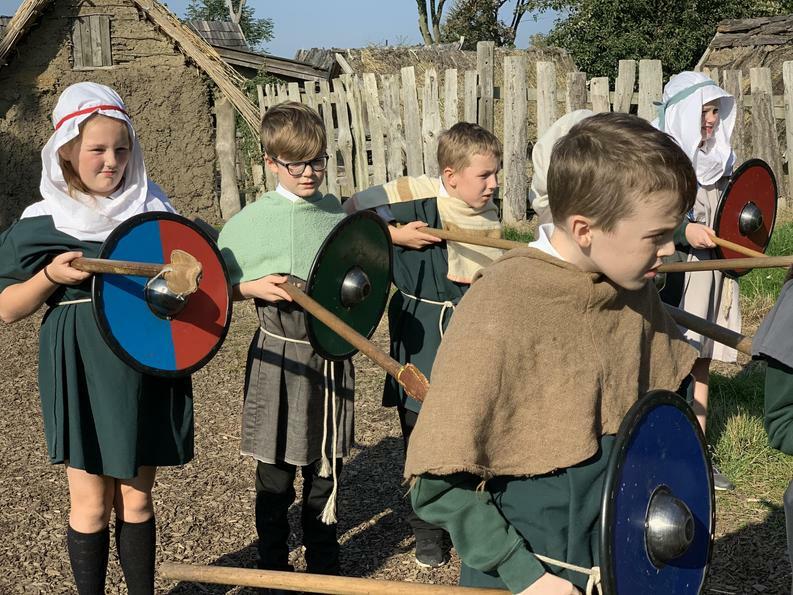 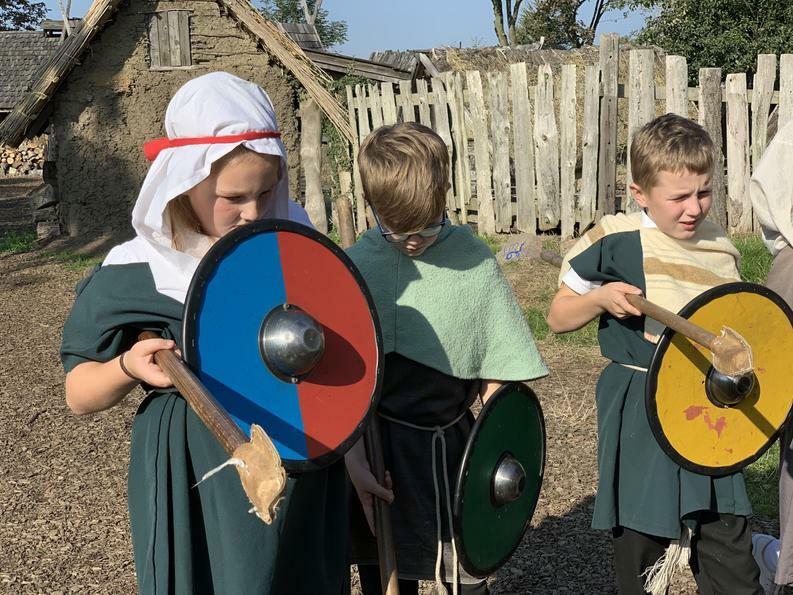 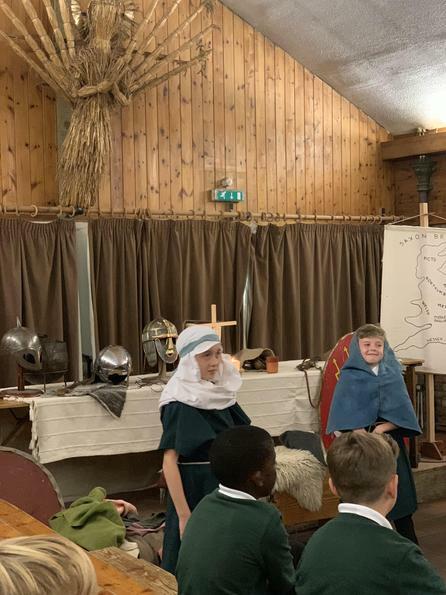 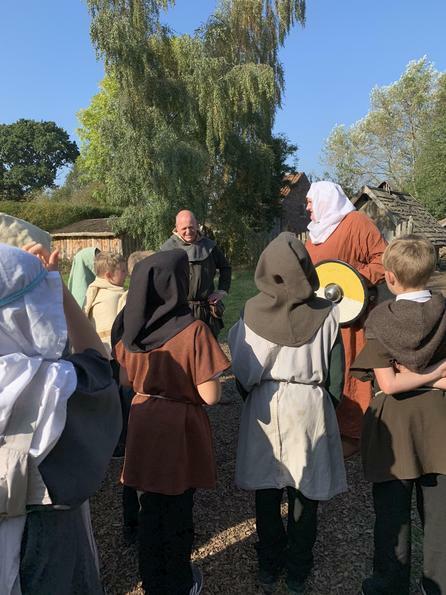 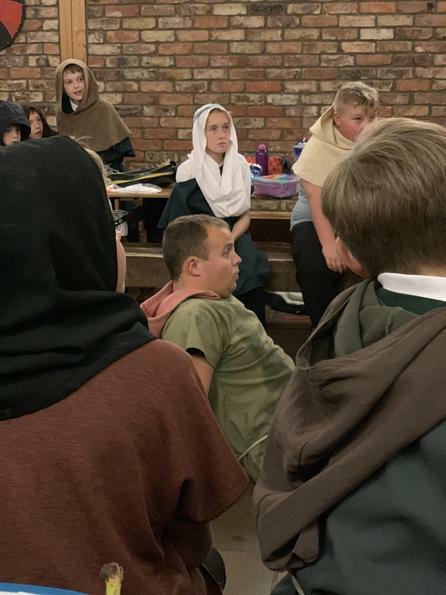 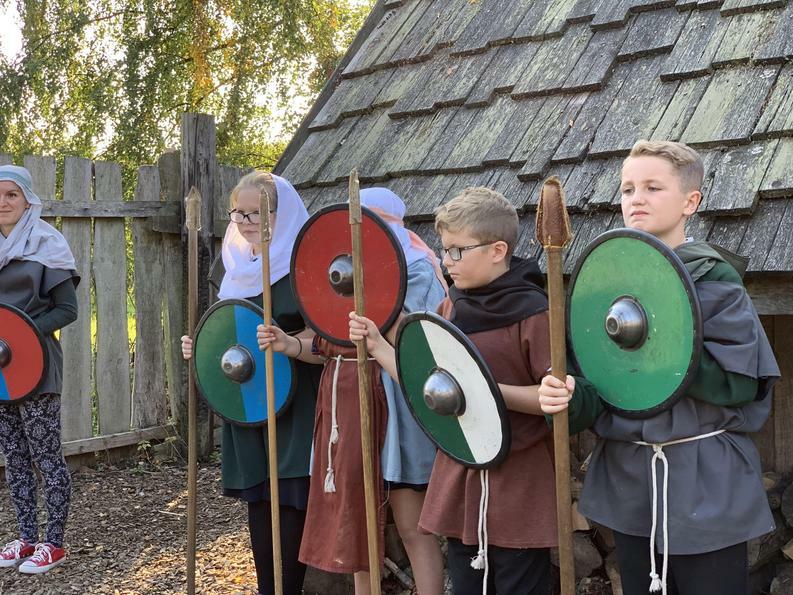 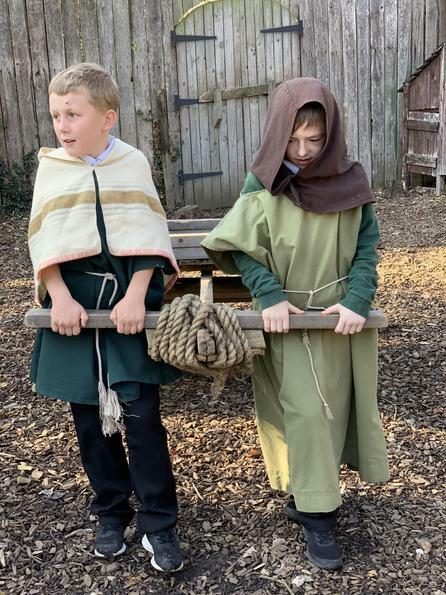 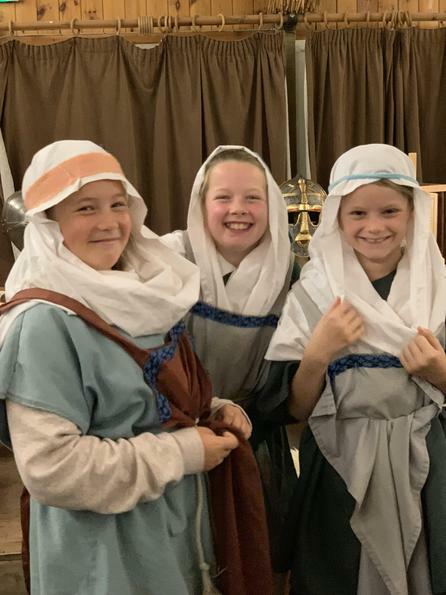 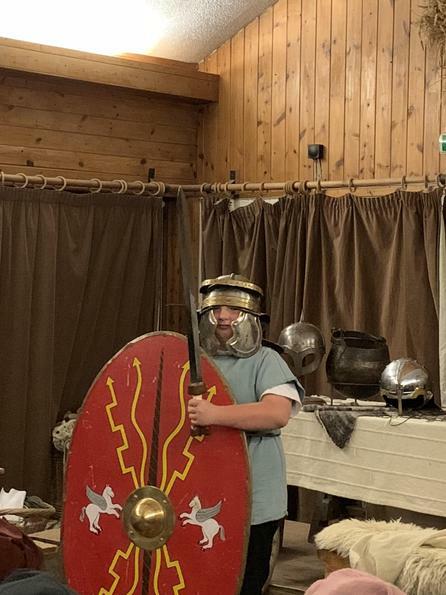 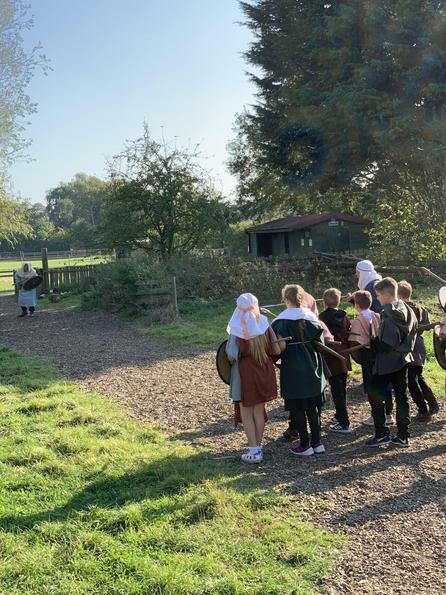 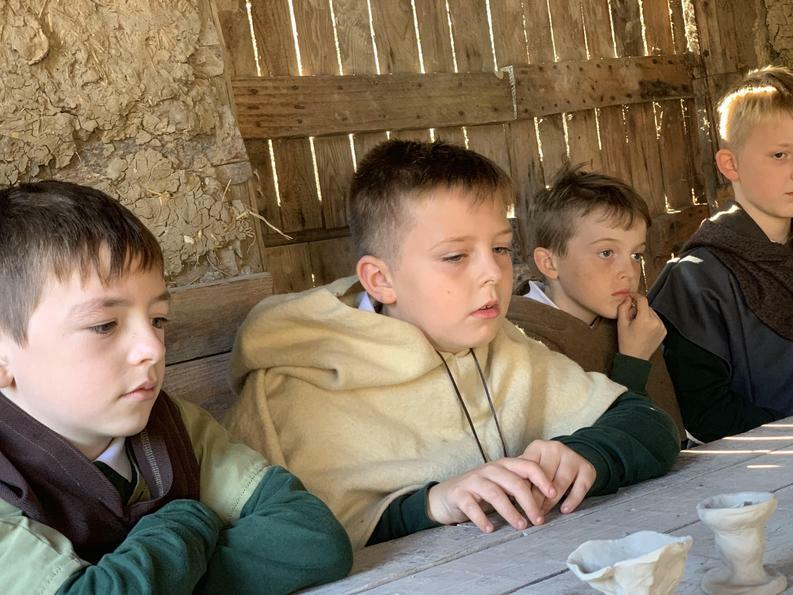 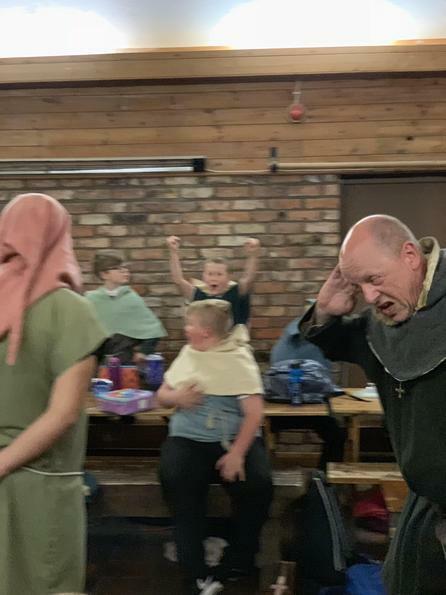 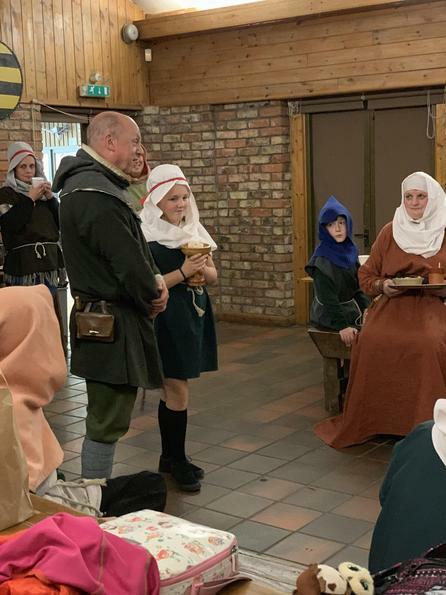 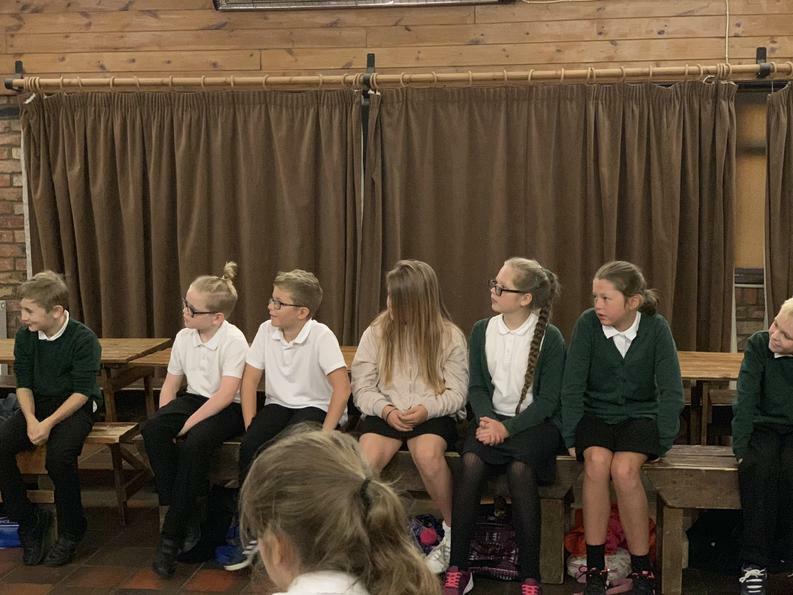 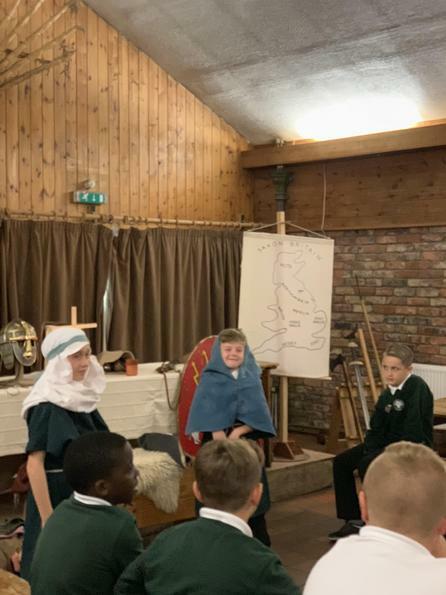 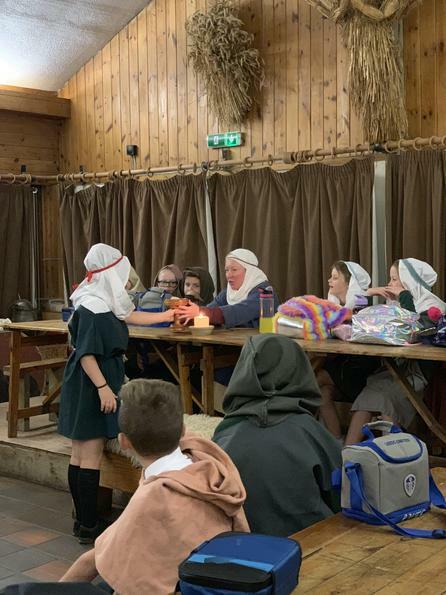 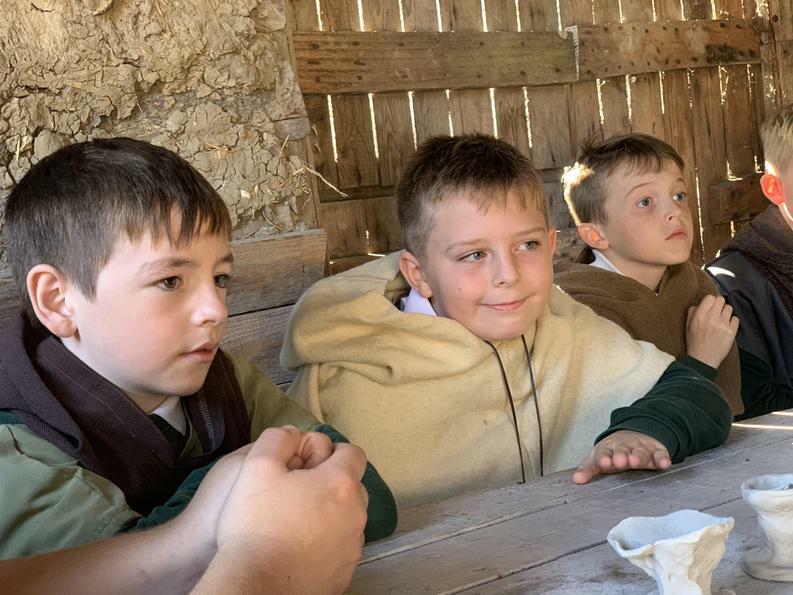 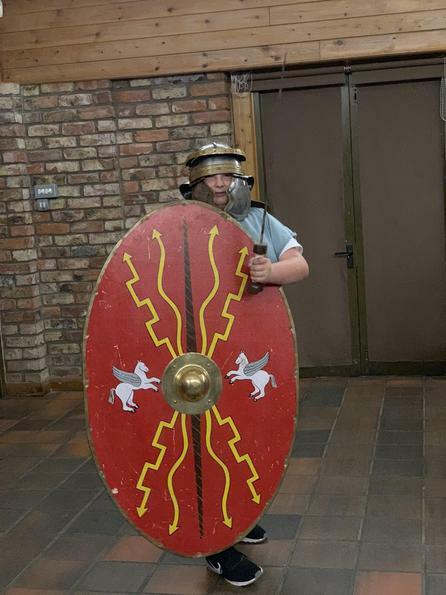 Our class trip to Danelaw Village at Murton Park! 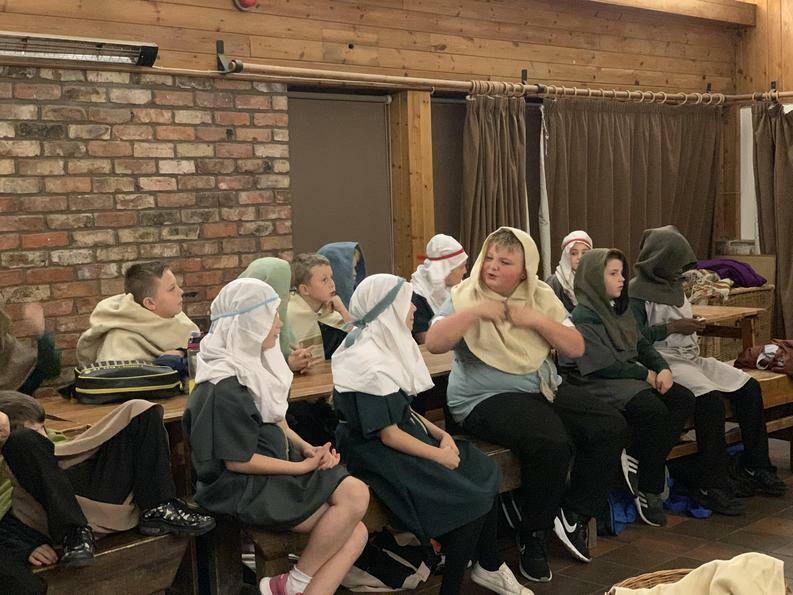 Wow what a day we had at Murton Park for our class trip. 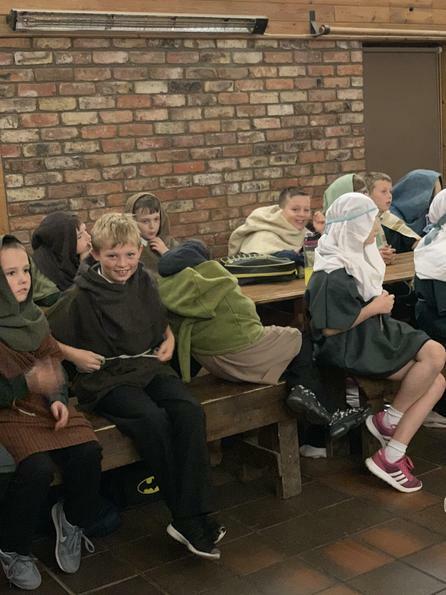 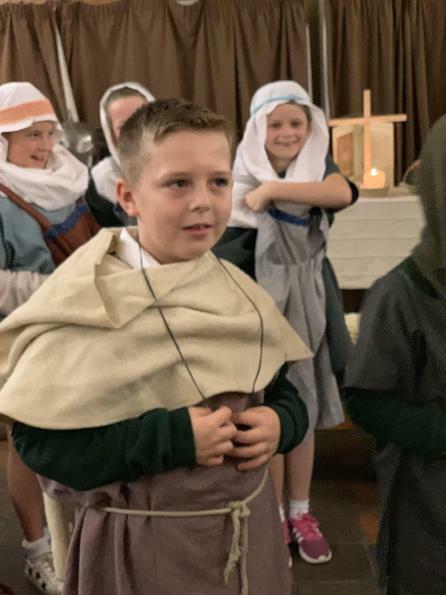 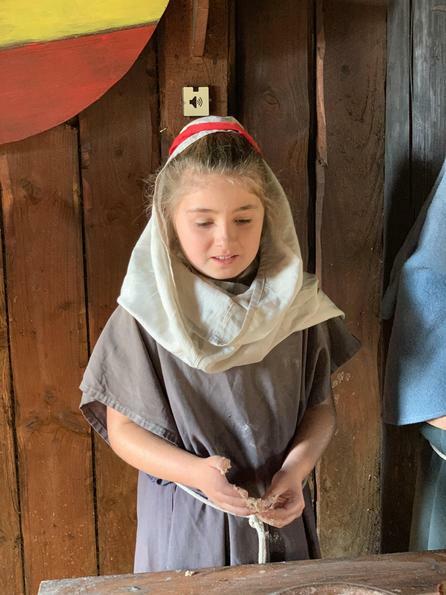 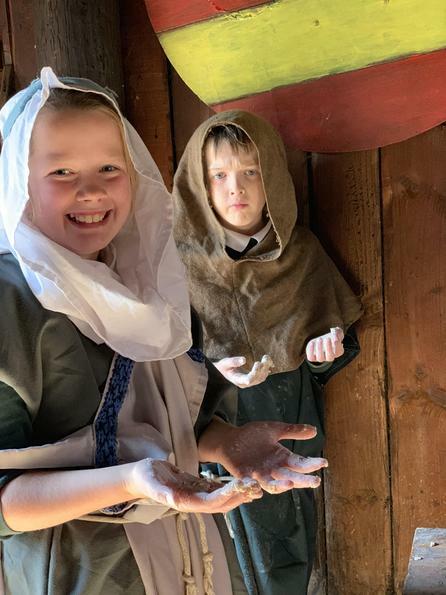 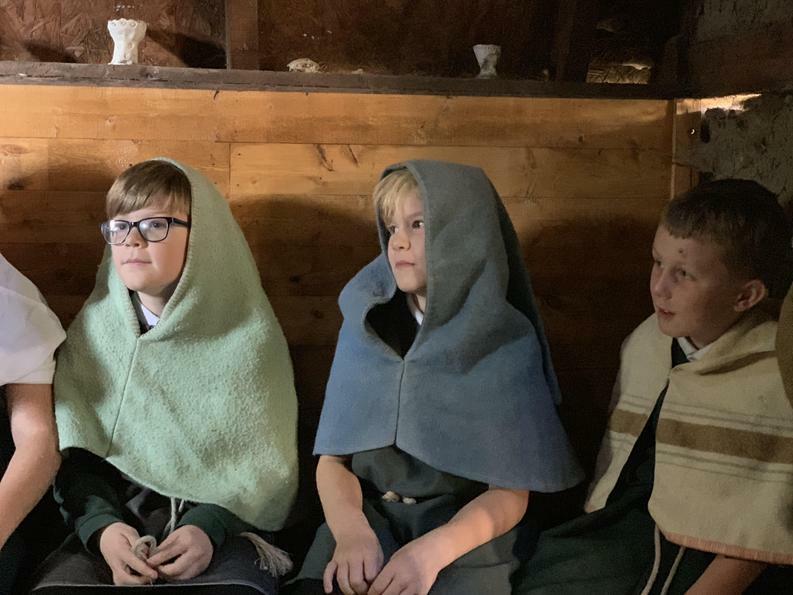 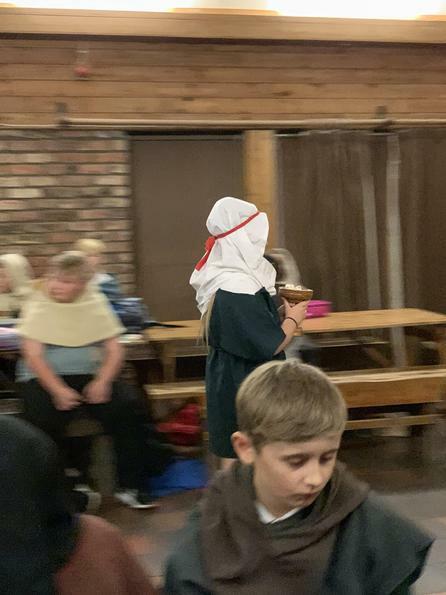 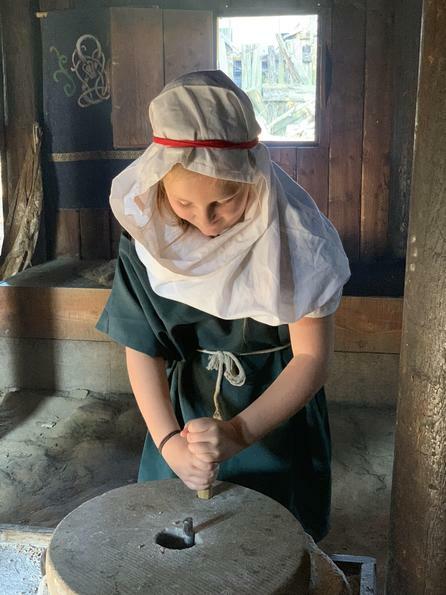 From the minute we arrived the children were immersed into real life as an Anglo-Saxon. 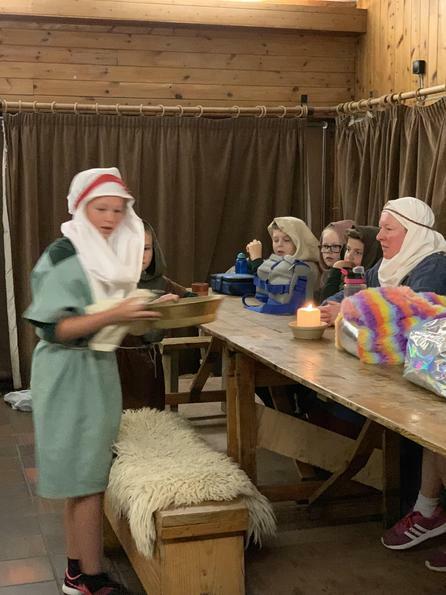 We were separated into 3 families and each family was appointed a Mother & Father. 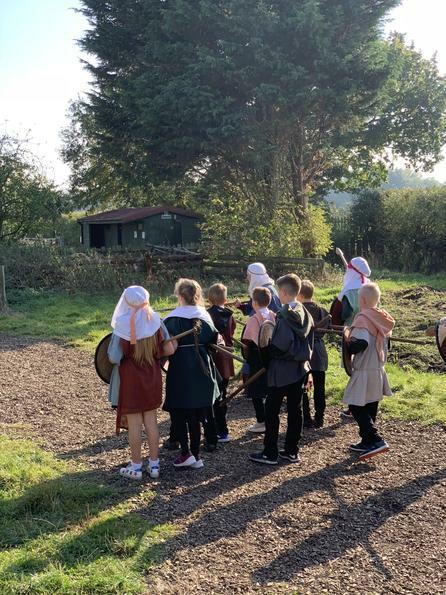 We all then dressed in Anglo-Saxon clothes and took on our characters. 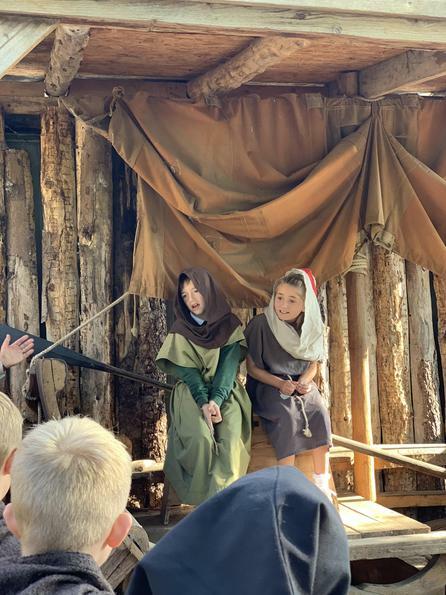 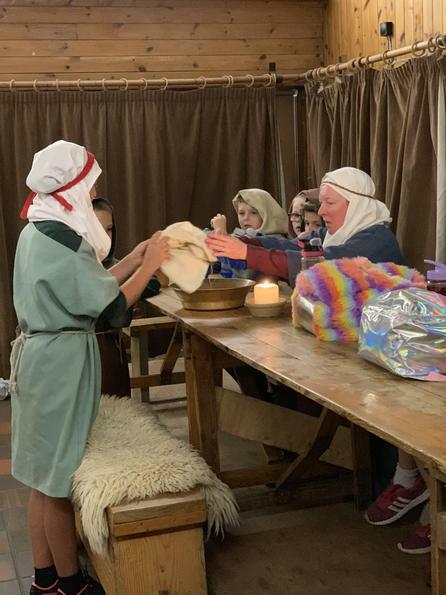 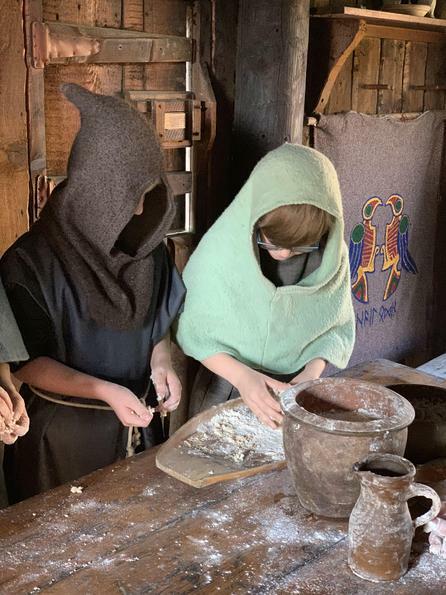 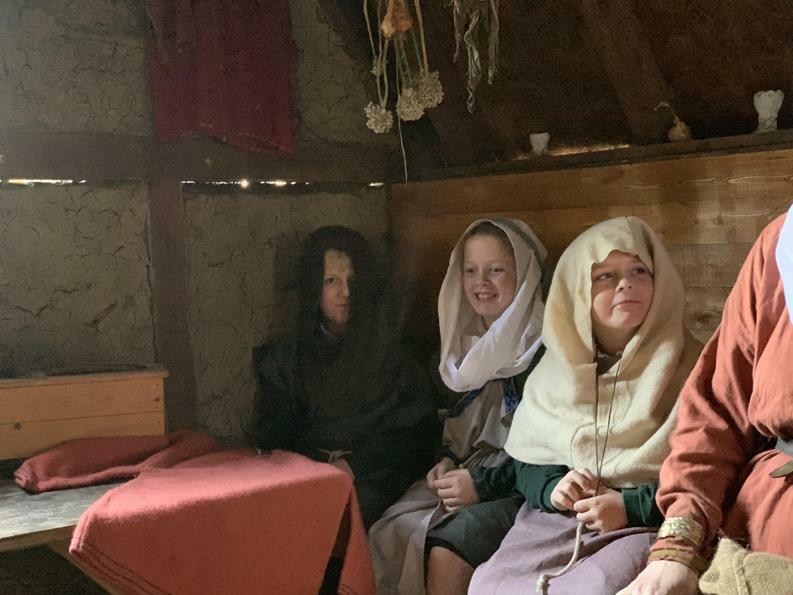 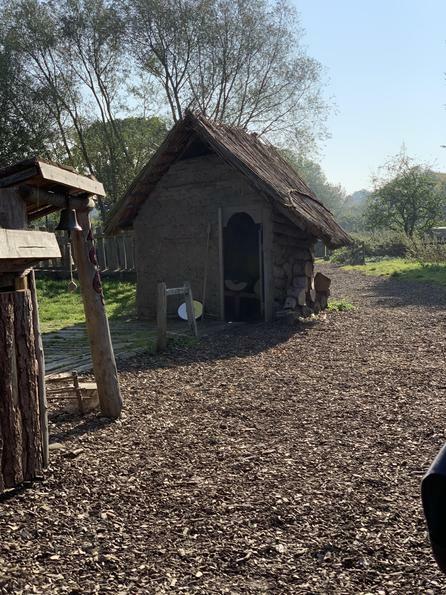 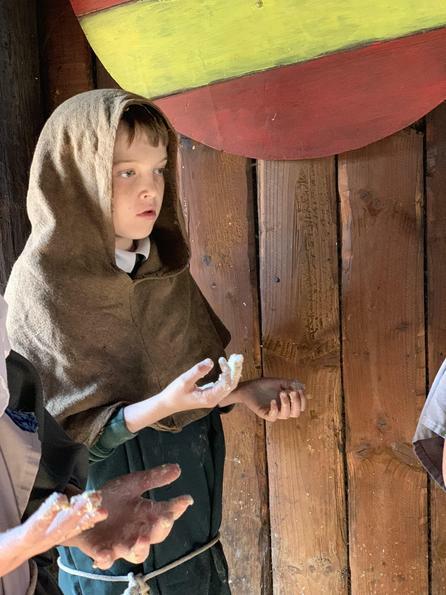 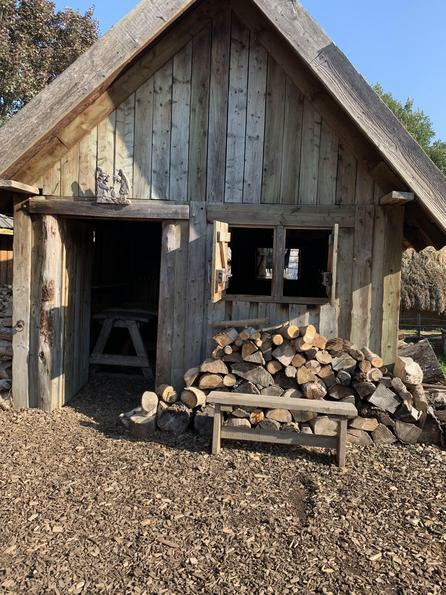 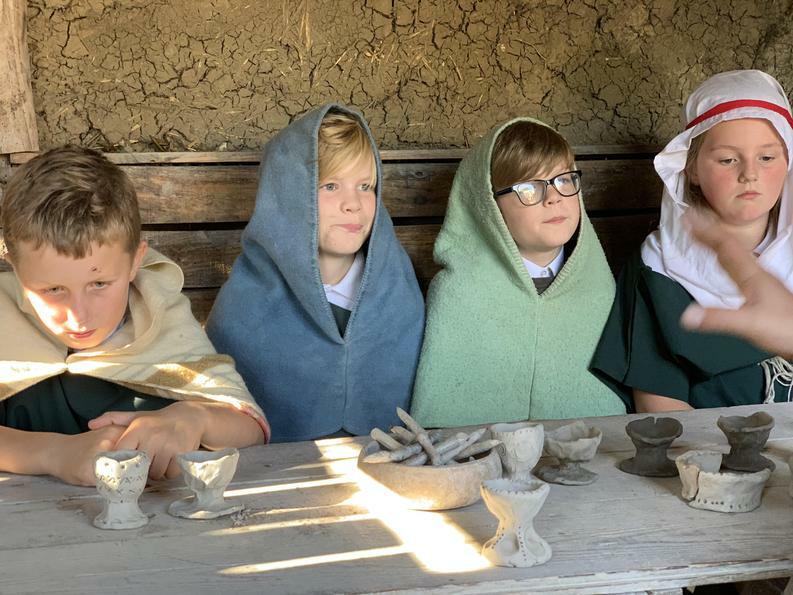 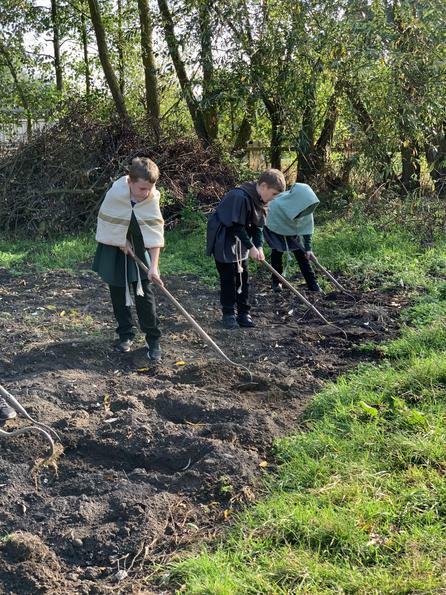 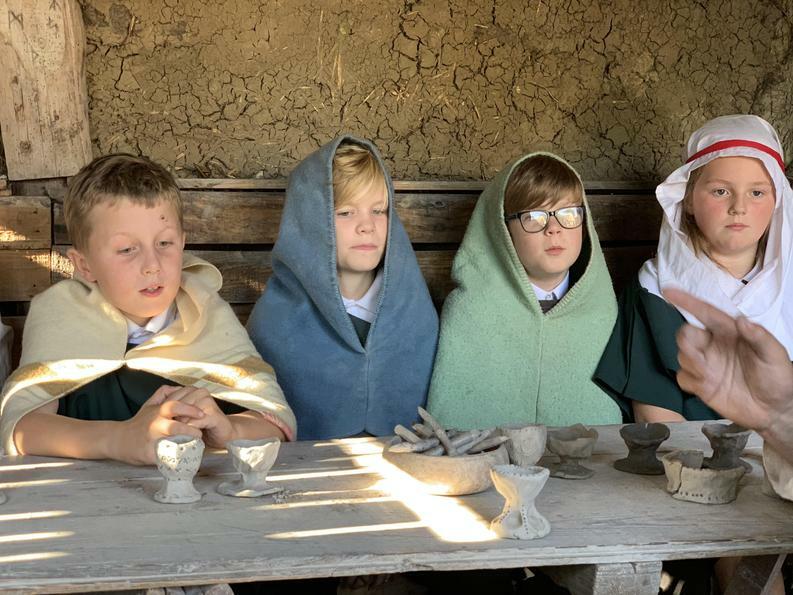 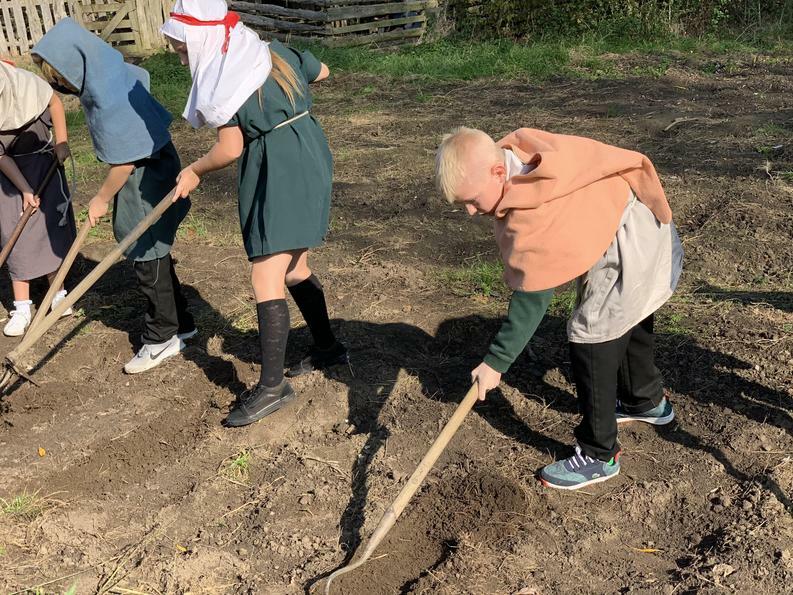 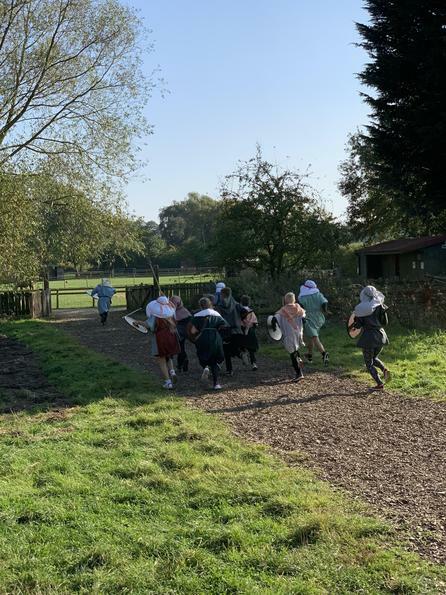 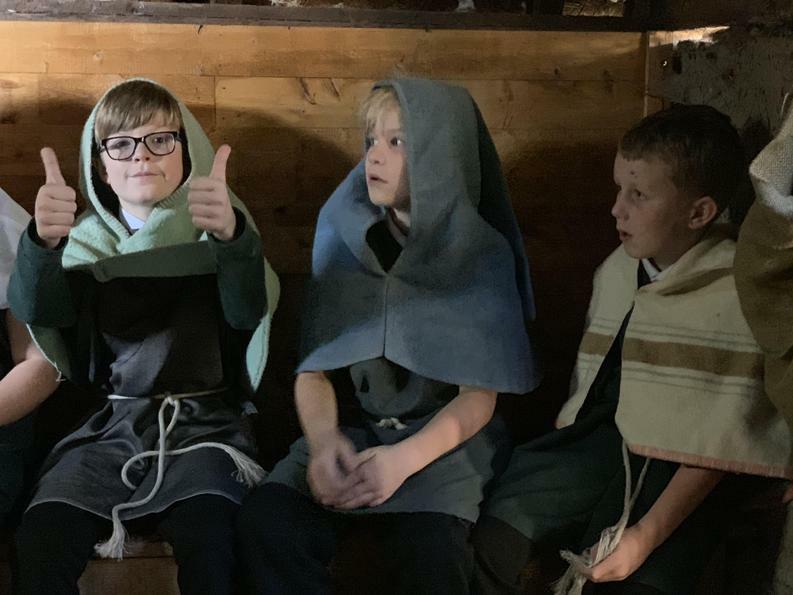 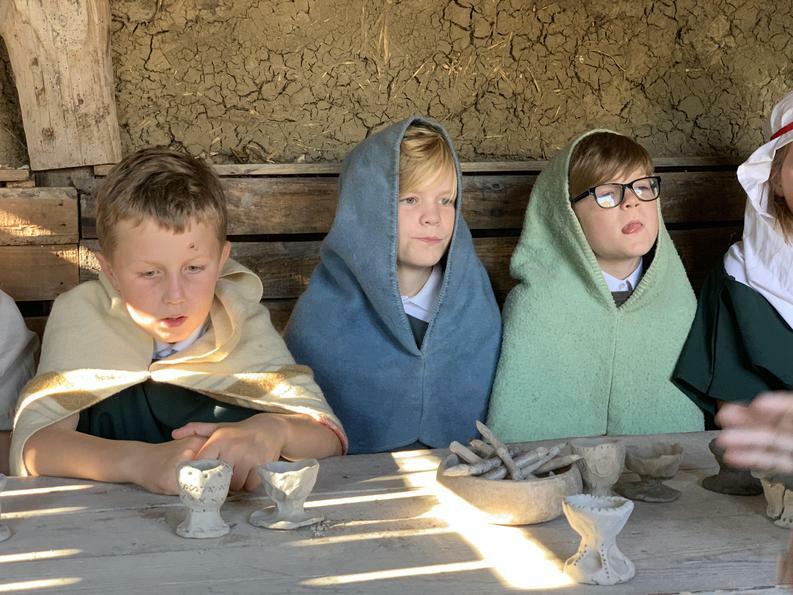 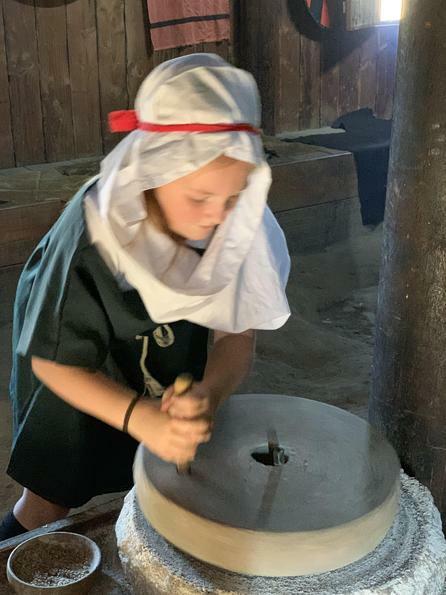 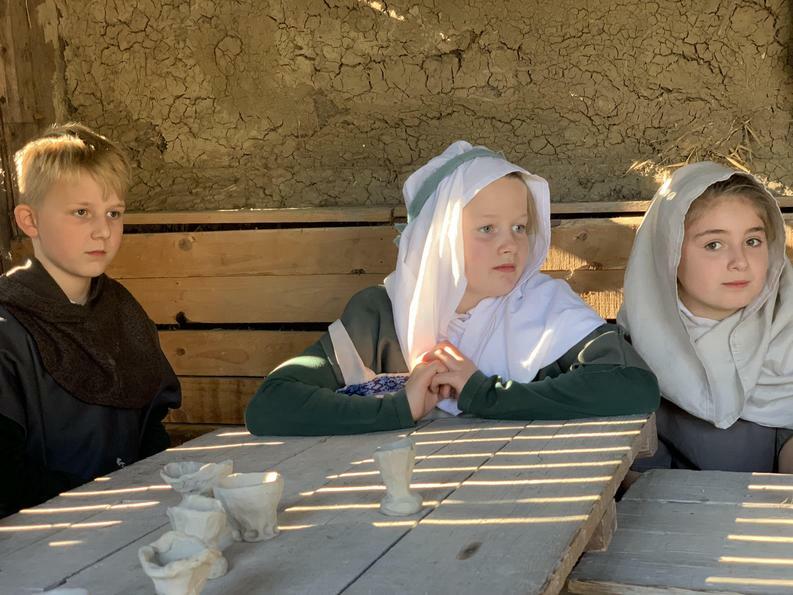 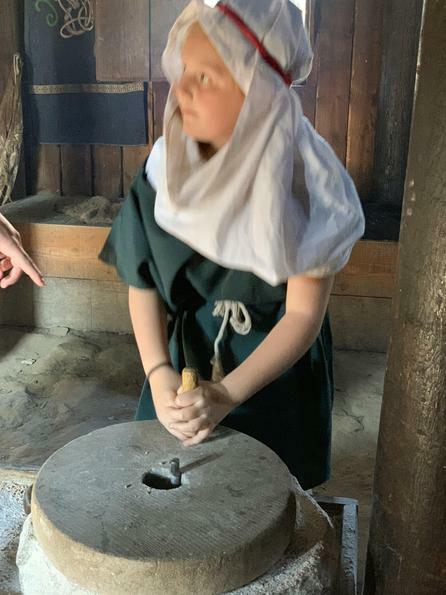 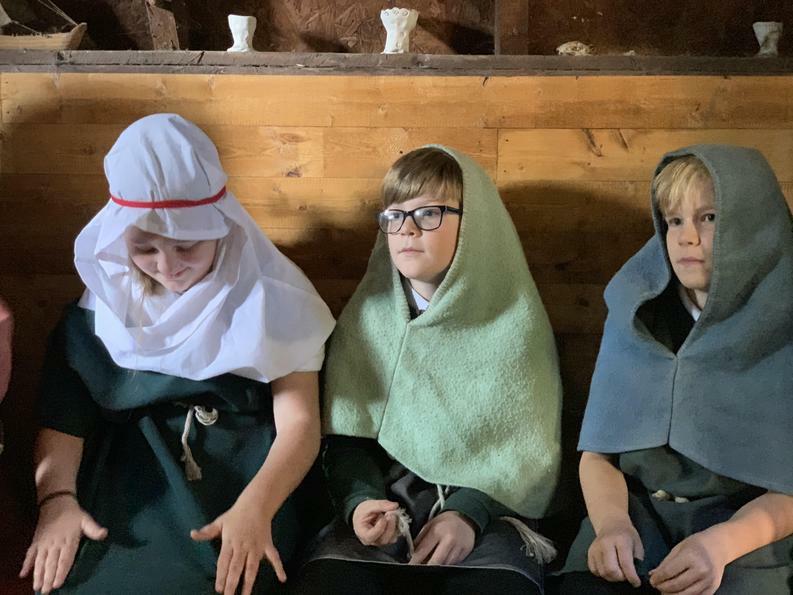 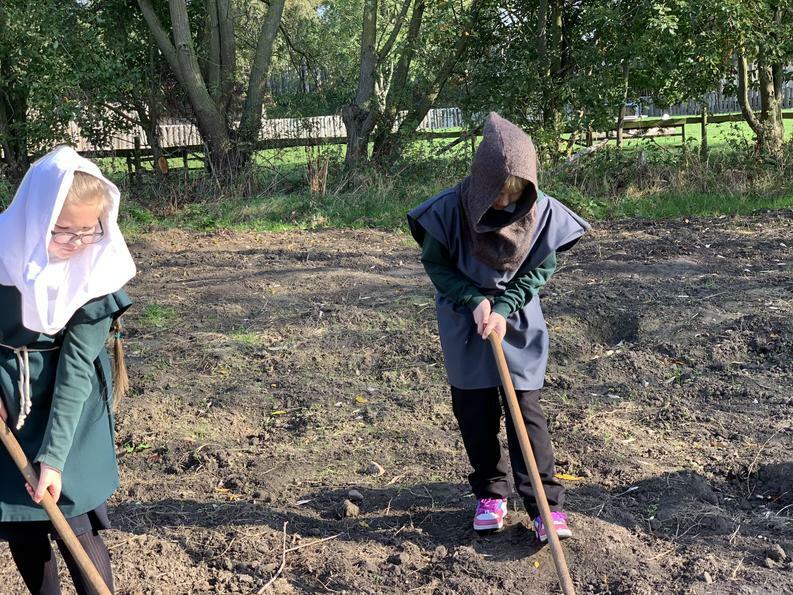 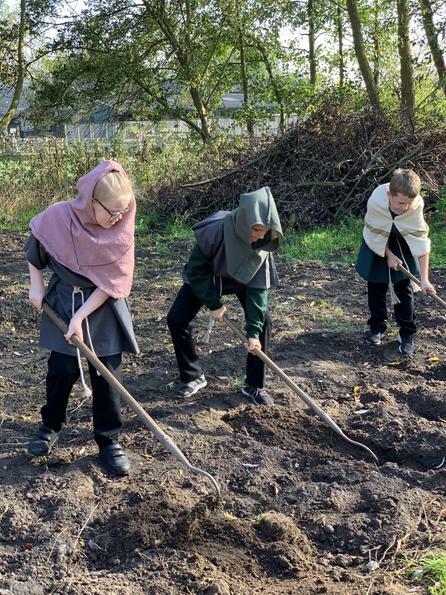 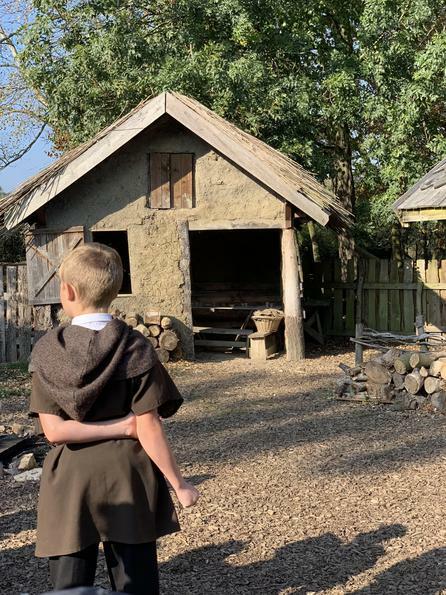 The children learnt so much throughout the day about how hard it was being an Anglo-Saxon from the jobs, making food, living and sleeping arrangements and even having to go to the toilet outside with no door! 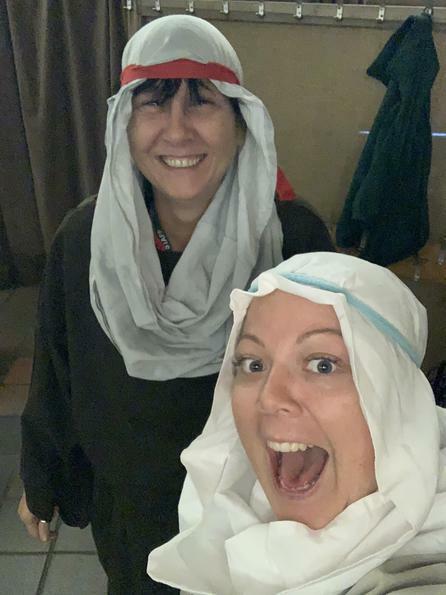 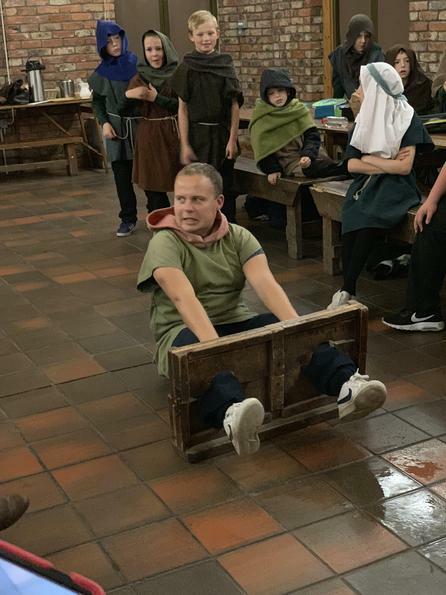 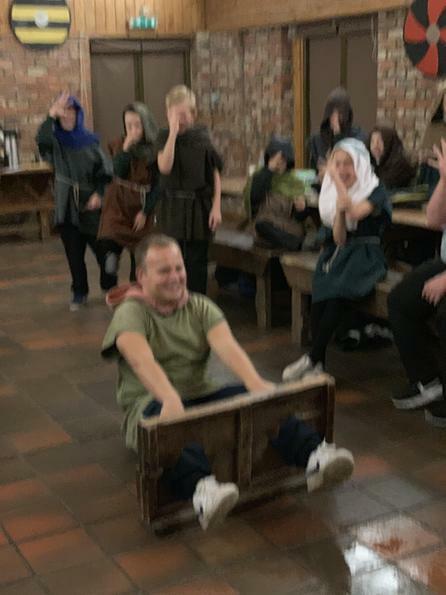 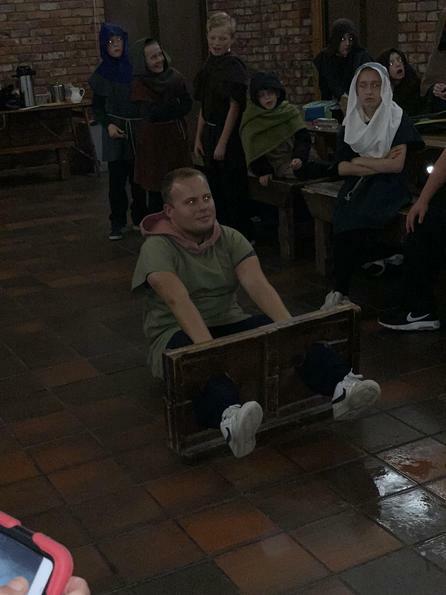 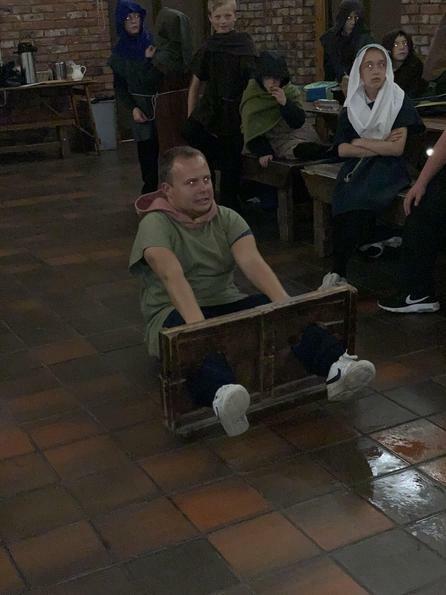 Even the staff got into character and this even continued through lunch time when Mr Ashford was put into the stocks for slacking in his work. 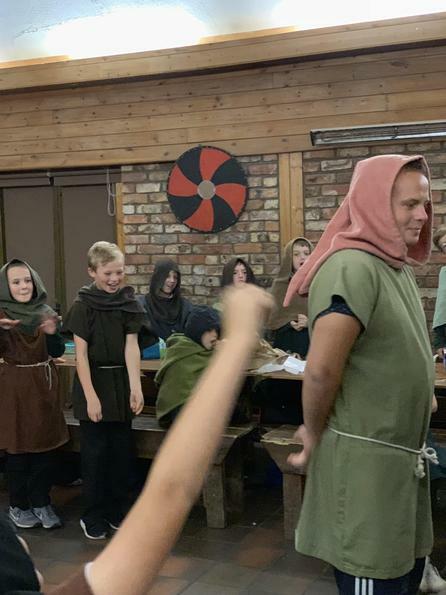 I'm sure you'll agree from the pictures that we had a fantastic time.